Dakota Winds Graphics specializes in Web Design, Ad Design, Embroidery, and many Print Design Media Needs. 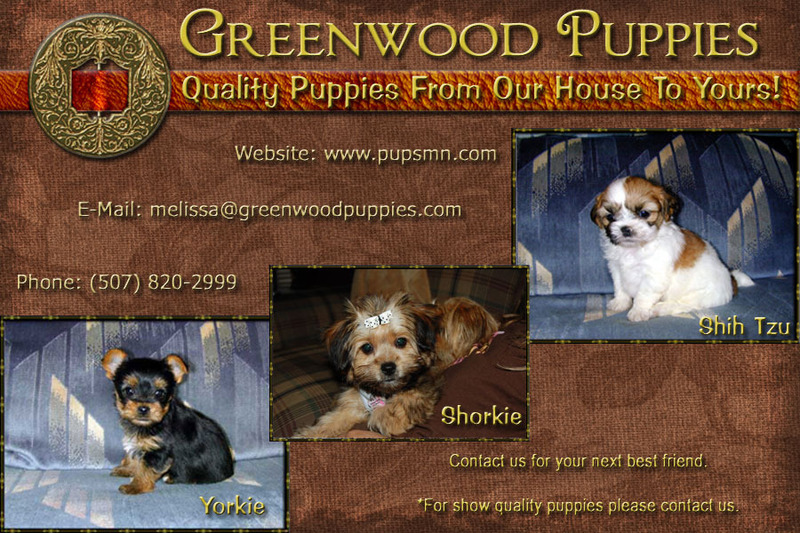 Some of our clients include Greenwood Puppies, Wiezorek Rabbits, Blue Collar Kennels, KMK Paint Horses, and much much more. We also do Photo Design/Editing, Embroidery, and have Crafts available. Be sure to check out our site for pricing and samples of past work. Feel free to contact me with any questions you may have.